Theatre, Art or Retail ? 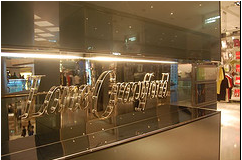 Lane Crawford has pushed the boundaries of retail design. It is a leading specialty store founded in Hong Kong offering top-end retail products from leading designers and brands around the world. 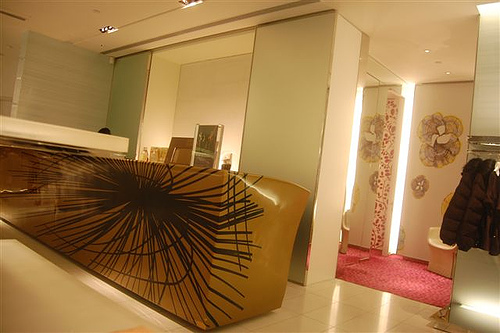 In 2004, it launched a new retail concept showcasing designer fashion and lifestyle brands in gallery-like showrooms along custom made art pieces. 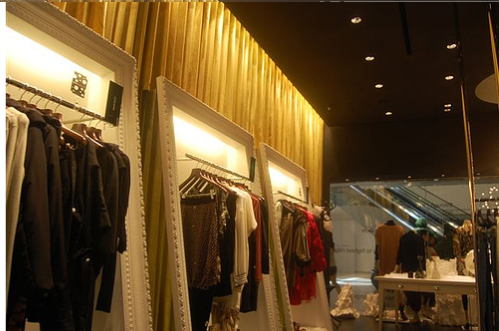 This fusion of fashion, art and exhibition provides a unique and memorable retail experience. Fashion designers and artists are fused together, forming engaging and creative theatrical backdrops that reinforces the distinction and position of the product. In-store displays and windows are fun, provocative and sophisticated. 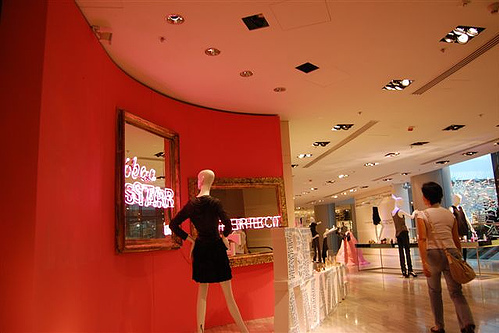 The designer offers technology interfaces within the store environment by introducing the ‘i-bar’. This function as the store’s technology hub where customers may check e-mails and inquire about in-store services. A dramatic display of communicational graphics reinforcing the lifestyle Lane Crawford offers, as you travel vertically within the store. Fun and engaging displays. Put yourself in the mirror (top) and see how you feel when neon lights suggest that you ‘be a star’ and that you are ‘perfect’ for it. 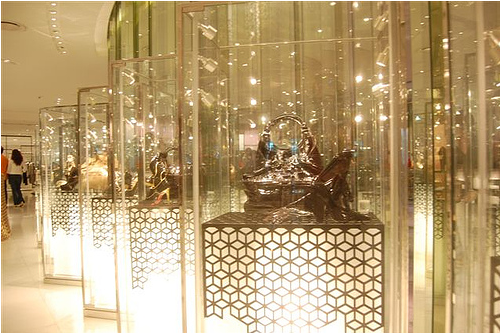 A fusion of art and sculpture in service counter, racks and displays. 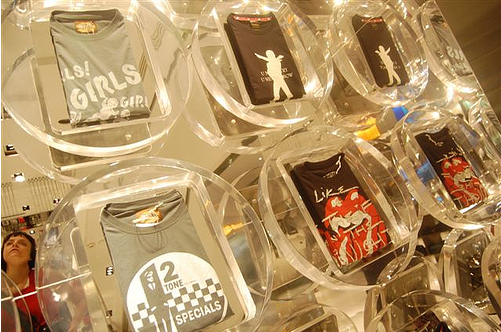 Retail managers in Malaysia should employ artists to do visual merchandising … comments please …. This entry was posted in art, design, lifestyle and tagged art, Interior Design, retail design, urban lifestyle, visual merchandising. Bookmark the permalink. definately agree with your view. Malaysia retail still lack of visual impact… some luxury brand have nice VM to see but lack of originality, soul ,thearitical and surprises. a store like this might make me want to spend all my money! ja!